The Union Cabinet Committee of Economic Affairs (CCEA) on Wednesday approved enhancing the capacity of solar park power projects to 40 GW by 2020. A total of 50 solar parks would be set up to meet the new target. Earlier the target was to set up 33 solar parks with a total capacity of 20 GW. The government aims to add 175 GW of solar capacity during same period. Solar Energy Corporation of India (SECI), a subsidiary of ministry of new and renewable energy (MNRE) would execute the projects along with the respective state governments. Land identification and selecting solar power developer would be the onus of the state governments. The Centre would give a grant of Rs 25 lakh for preparing the detailed projects report. “We would also provide Central Financial Assistance of upto Rs 20 lakh per MW or 30 per cent of the project cost including grid connectivity cost, whichever is lower,” said Piyush Goyal, minister of state for coal, mines, power and new & renewable energy at a press briefing. SECI would release the grant as per the milestones achieved. The current installed capacity of solar in the country stands at 9000 MW. “Today’s decision will contribute to long-term energy security of the country,” said Goyal. The Cabinet Committee of Economic Affairs (CCEA) approved investment proposal for generation component of 900 MW Arun-3 Hydro Electric Project in Nepal by state owned SJVN Limited. The project culminated as Memorandum of Understanding (MOU) with the government of Nepal located in the Sankhuwasabha Distt. SJVN has been entrusted to plan, promote, organize & execute the Arun-3 Hydro-electric Project. 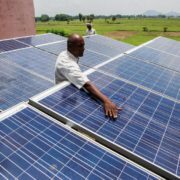 Less than a year after it proposed a unique coalition of sunlight-rich countries to fight climate change through deployment of renewable energy, India has been able to make the International Solar Alliance (ISA) a reality. On Tuesday, more than 20 countries signed a Framework Agreement on International Solar Alliance which will take the shape of a separate international treaty once it is operationalised. The framework agreement is not only the most concrete deliverable coming out of the Marrakesh climate change conference, it could also prove to be the game-changer in the global fight against climate change depending on the number of countries that eventually join it. Strictly speaking, ISA agreement is separate from the UN-mandated climate change talks that are held every year. But it was proposed at the Paris climate conference last year and has become a reality at the Marrakesh meeting now, thus getting closely linked with the UN climate process. The revolution in the deployment of solar energy in the last six-seven years has been made possible by a sharp drop in the costs of production of electricity through solar cells. The costs have come down by 80-85 per cent in the last seven years, thanks to a rapidly growing demand as countries look to move away from fossil fuels on climate change concerns. This has made solar energy very competitive in comparison to the more traditional sources of electricity generation like coal-fired thermal power plants. The total installed capacity of solar energy across the globe has risen by almost eight times during the same time. The International Solar Alliance, proposed by Prime Minister Narendra Modi in Paris last year, is an attempt to accelerate this process further by boosting the global demand for solar energy. More than 120 countries are geographically located in the tropics, between the Tropic of Cancer and the Tropic of Capricorn, either fully or partially. These places get ample sunlight throughout the year, making solar energy an easily available resources. These countries also happen to be ones where maximum growth in energy demand is expected in the coming years, considering that these are areas where current production is woefully short of requirement. The ISA is an effort to ensure that as these countries rapidly ramp up their electricity production, they should predominantly use solar energy and avoid fossil fuels. But this can happen only if the costs of solar energy are competitive to the traditional sources. The ISA seeks to do three things to bring down the costs of technology as well as the costs of finance needed for a solar project. 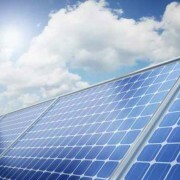 It seeks to boost global demands which will result in further reduction in prices of solar energy deployment. It also seeks to promote standardisation in the use of equipments and processes for generating electricity. Standardisation will make the manufacturing of equipments and other hardware cheaper. The third thing it seeks to do is to boost research and development, particularly in areas of efficient storage systems. The number of countries that signed the ISA agreement on Tuesday was far less than India’s expectations of at least 50, but that was partly due to the fact that the signing ceremony coincided with a lunch that Morocco’s King had arranged for all visiting heads of states and ministers, and that venue of the ceremony was some distance away from the conference venue. The ISA has, in the last year, received solid support from a large number of countries, including many like France and the United States of America, which are not exactly tropical countries. The US has repeatedly expressed its desire to join the alliance. France actually did on Tuesday. More countries are likely to sign up during the remaining days of the conference and also later. The signing has to be followed by ratifications by countries. The agreement will become operational after at least 15 countries have ratified it. The framework agreement says that the members of ISA would take coordinated actions through programmes and activities that will aggregate the demands for solar finance, solar technologies, innovation, research and development, and capacity building. The ISA gives India an opportunity to take global leadership in the fight against climate change. The secretariat of the ISA is to be located in India. It will also host a meeting of ISA assembly every year. India has promised to contribute $27 million for creating building infrastructure and recurring expenditure for five years, till 2020-21. A part of this money will also go towards creating a corpus fund of $16 million that will generate revenues for the budget of ISA. Two public sector undertakings, the Solar Energy Corporation of India and the Indian Renewable Energy Development Agency, have also promised $1 million each for the corpus fund. 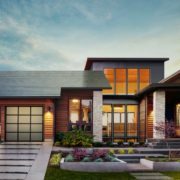 A couple hundred invited guests, mostly Tesla owners, ooh-ed and ahh-ed as Musk revealed that a row of suburban American houses on Wisteria Lane—the old set of Desperate Housewives—were all, in fact, topped with solar roofs. Each house’s old roofing material had been stripped away, and replaced with one of four new styles of solar tile. From the street, it was virtually impossible to tell; the roofs retained a variety of traditional looks, from textured slate shingle to terra cotta tile. Musk said the secret to the tiles’ appearance is a special coating that becomes more or less see-through depending on your viewing angle. He described it as a series of micro louvers that work like a privacy screen on a laptop, and said the company is working with 3M on the tech. The effect is dramatic in person. From shallow angles, the tiles appear nontransparent. But as your viewing angle approaches 90 degrees, the underlying solar cell becomes more and more visible. The result is a tile that permits the passage of sunlight from overhead, but still looks opaque to anyone at ground level. Tesla is partnering with SolarCity on the new products, and is hoping to convince shareholders of both companies that they make a good pair. Musk announced in June that his electric car company plans to merge with the solar panel installer, of which he is already majority shareholder, and which his cousins run. Shareholders will vote on the plan on November 17th. Perhaps Tesla’s pretty new solar tiles will influence their decision.